2. Paralysed (or maybe Indecision) What should I do with my life? Here's some smart, solid, durable and proven wisdom—the kind of wisdom that's getting harder to find. So my advice for 20-somethings who love Jesus: get it and read it. Life in young adulthood can seem pretty disorienting - this book gets how that feels, and helps you find your feet and walk with confidence. 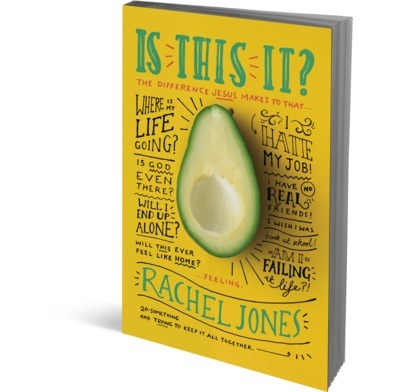 And for anyone, like me, who is well beyond being anywhere near young adulthood, Rachel Jones will help you get inside how it feels to be a millennial or Gen-Z-er - to understand the tensions, hopes and fears, and how the Christian faith speaks compellingly to them.